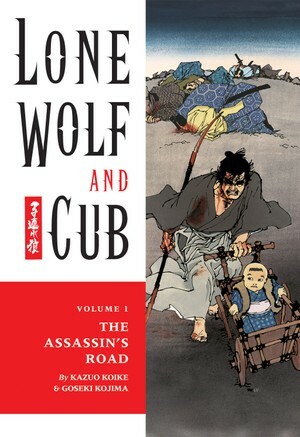 Justin Lin Attached to Direct ‘Lone Wolf and Cub’!!! The 1970’s Japanese manga comic book ‘Lone Wolf and Cub’ was picked up by Kamala Films earlier today with ‘Fast Five’ helmer Justin Lin set to driect. David and Janet Peoples will write the script for the adaptation. David and Janet wrote ’12 Monkeys’ and ‘Blade Runner’ to just name a couple of films. While I’m not a huge Justin Lin fan, I do like the Peoples. I can see this film going either way really. Sadly, I think it’s going to fall by the way side. I hope not, but Lin’s track record is not good. This entry was posted on Tuesday, March 27th, 2012 at 6:59 pm	and is filed under Comics, Film, News. You can follow any responses to this entry through the RSS 2.0 feed. You can skip to the end and leave a response. Pinging is currently not allowed. « Ever Wondered What Your Favorite Horror Characters Were Doing in Their Golden Years? Well Now You Know!! !